Any expat can be assured this city takes their healthcare seriously. In the past five years, the people have witnessed the government allot CNY 2.7 billion (US$333 million) for medical facilities alone. 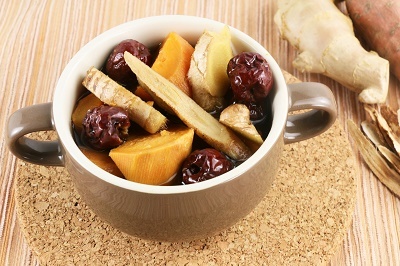 As if having production of biological drugs, as its fourth major industry is not enough, Guangzhou even aims to become the ultimate destination for traditional Chinese medicine. Today's healthcare system offers free options between government and a few privately owned hospitals. Since health professionals do not hold private offices, patients with trivial and urgent cases alike are required to go to the local hospital for treatment. But medical feedback Guǎngzhōu varies; there are raves about world-class treatments and appreciation of bedside nursing yet there are complaints about exorbitant bills, extortion, and questionable prescriptions. Furthermore, most expats fear the air pollution index and cases of food poisoning. Also, patients with serious health concerns are subjected to a two-hour travel to Hong Kong for medical attention. But note that Hong Kong is one of the expensive cities when seeking medical treatment. The abovementioned realities may sound discouraging, but there is a list of expat-friendly medical institutions in the region: Guangzhou United Family Hospital & Clinic boasts of highly qualified professionals with expertise in family medicine, pediatrics, integrative medicine, and urgent care. Recently, this first foreign-invested hospital in China had implemented a multi-language and multi-currency healthcare information system. They even have an electronic patient record that can be recognized in other information system. An international group of physicians and dentists are the ones behind Can-Am International Medical Center offering a wide array of professional medical services including women's health services, psychological counseling, out-patient surgeries, transfers to Hong Kong and and more. They also offer direct billing to major international health insurance companies. Membership is not required but members (CNY 819.29/US$120 fee) avail of 20% discount on all services. International SOS Clinic is another excellent choice for medical treatment. Aside from their internationally trained physicians, specialists and doctors with a full range of medical services, the clinic offers a "one week membership program" which covers consultation fees, common medications and multiple check-ups. Global Doctor Clinic is an Australian-based medical company with Western training and experience, strong inclination to hygiene, modern medical facilities and expertise in general medicine, immunization and vaccination, minor surgery, antenatal care, post-natal follow-up, emergency house calls and pre-employment check-ups. Still, make it your business to make pre-employment research on purchasing international health insurance before taking the first flight to Guangzhou. Take the necessary preparations such as medications for the ills of air pollution and digestive discomforts as well. Rest assured that Guangzhou has competent and English-speaking health professionals.